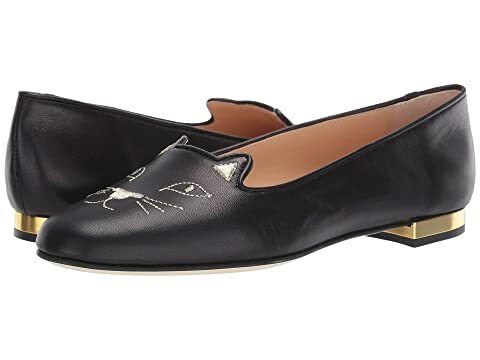 Leather upper features an embroidered cat face with ears and city skyline. We can't currently find any similar items for the OLS196331A by Charlotte Olympia. Sorry!